“I shall come to ask for the consecration of Russia to my Immaculate Heart, and the Communion of reparation on the First Saturdays. If my requests are heeded, Russia will be converted, and there will be peace; if not, she will spread her errors throughout the world, causing wars and persecutions of the Church. The good will be martyred; the Holy Father will have much to suffer; various nations will be annihilated. In the end, my Immaculate Heart will triumph. The Holy Father will consecrate Russia to me, and she shall be converted, and a period of peace will be granted to the world.” —The words of the “woman clothed in light” whom we now call “Our Lady of Fatima,” who appeared to the three shepherd children of Fatima, Portugal, on six occasions in 1917. The words are a central part of what came to be known as “the secret of Fatima,” also referred to as the “three secrets of Fatima.” Pope Francis will travel to Fatima at the end of this week to canonize two of the three children as saints, giving a certain Church “seal of approval” to the Fatima message. For an interesting video on the “three secrets” of Fatima by Rome Reports, with some historic photos of the three shepherd children and the May 13, 1981, assassination attempt against St. John Paul II, see this link. For the text above, and the official Vatican interpretation of it (quite a long text), go to the Vatican website here. On Friday, May 12, in just two days, Pope Francis will fly to Fatima, Portugal. The five other apparitions following the first one on May 13, 1917, were on June 13, July 13, August 19 — because the children were imprisoned by town officials on August 13 and for several days thereafter to prevent them from being present at any apparition — September 13 and October 13. On that last day, October 13, 1917, the famous “Miracle of the Sun” occurred in the sight of 70,000 people who had gathered around the three children. The event was documented at the time by photographs which can still be consulted today. Here below are two images from that day. For more photographs, go to this link). The third child, Lucia Santos, their cousin, could not be beatified or canonized on this occasion, along with the other two, because her death came so recently, in 2005, at the age of 97. 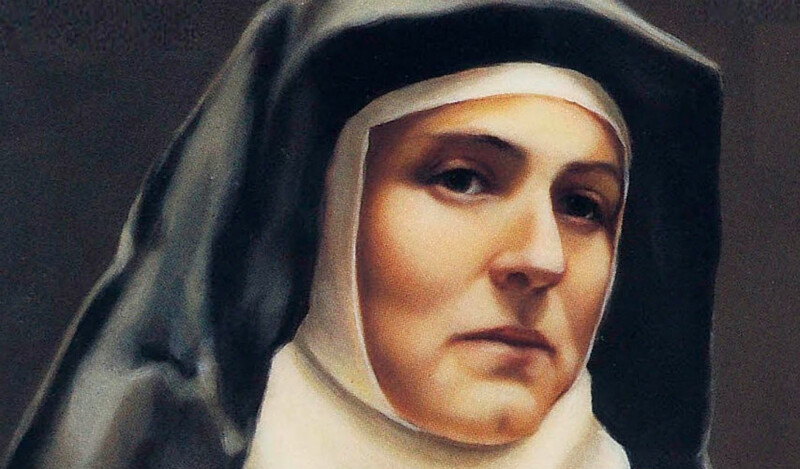 There has not been enough time since 2005 to study and complete her cause of beatification and canonization. Why is all of this so important that we may consider this trip the most important of Pope Francis’ pontificate? Because the messages, the “secrets,” given to the children — and now being stamped once again with a certain “validity” through the process of canonization — refer very specifically to one nation, and one nation only: Russia. 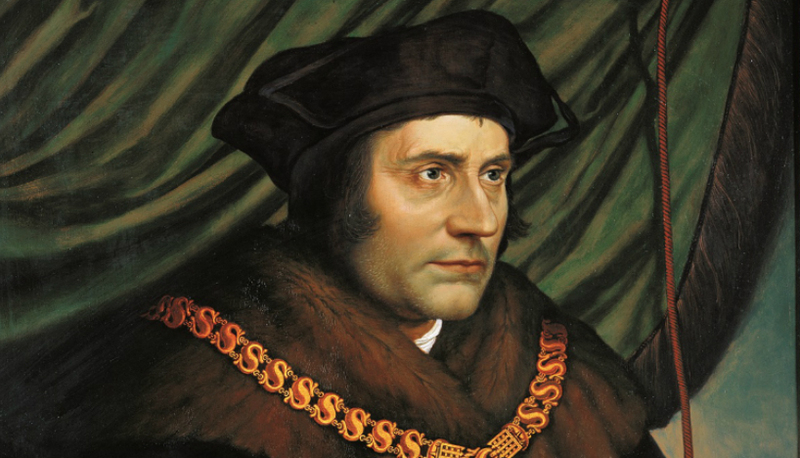 Join me for Mass in the prison cell of St. Thomas More in the Tower of London on St. Thomas More’s Feast Day, June 22! This is an extraordinary pilgrimage following in the footsteps of St. Thomas More and Blessed John Henry Newman. And, because that vast, powerful, mysterious nation has been fought over for a century now, suffering greatly, and causing much suffering, and because it still remains a pivot for many world events, as is clear from the daily news for many months now in the United States. Russia was a century ago sometimes referred to as “The House of Mary” because there were more churches dedicated to the Virgin Mary in Russia than there were in any other country in the world. But for nearly three quarters of a century (from 1917 to 1991), Russia was ruled by a cruel, declaredly “atheistic” (“without God”) ideology. That ideology, communism, presented itself as an idealistic political movement for social equality and justice but it was in fact, as the great Russian Orthodox writer Alexander Solzhenitsyn has described in such detail, a pitiless regime, wiping out every form of opposition, and especially brutal in suppressing and punishing the traditionally Orthodox Christian believers of that nation. Thousands of priests and bishops and millions of believers were interred in “gulags,” work-prison camps. And so the Christian faith was trampled upon in Russia as in few other places in the 2,000-year history of the faith. Now, at a time when Russia is very much in the news daily throughout the Western world, it is interesting to note that these Fatima apparitions, and the messages of the Lady given in 1917, and later to the one shepherd-child of the three who lived past 1920, Sister Lucy (who died just 12 years ago, in 2005, a few weeks before St. John Paul II died) mention Russia specifically by name. Only Russia is mentioned by name. These words now have an increased “credibility” because all of the circumstances surrounding the six apparitions, especially the astonishing events that took place on October 13, 1917, have persuaded many of the leaders of the Catholic Church, from Pope Pius XII to St. John Paul II to Pope Benedict XVI — and now also Pope Francis, whose trip to Portugal bears witness to his own conviction that these messages are important — that the messages are worthy of pious belief. Of course, no Catholic is bound in faith (“de fide“) to believe in the content any private revelation, or of any mystical experience, in the way Catholics are bound to believe in dogmatic truths like the divinity of Christ or the resurrection. Still, the visit of Pope Francis to Fatima, and his canonization of two of the three children who saw the apparitions, underlines the “pious belief” of the official Church leadership in the reliability, the credibility, of these prophecies. And this is why, at a time when direct conflict between Russia and the United States seems more possible that at any time since the Cuban missile crisis in the early 1960s (when Russia was called, and was the center of, the Soviet Union), the Pope’s visit to Fatima takes on world-historical importance. It is also important to note that just today Pope Francis greeted a group of Russian Orthodox priests who are visiting Rome this week as part of a continuing exchange program that sends Catholic scholars and priests for several days to Moscow and Russian Orthodox scholars and priests to Rome each year. And, the Pope asked publicly for God’s blessing on the Russian Orthodox Church. Saluto di cuore la delegazione dei giovani sacerdoti del Patriarcato di Mosca ospiti del Pontificio Consiglio per la promozione dell’unità dei cristiani. Dio Onnipotente, per intercessione della Madre di Dio, benedica il vostro Paese e l’impegno della Chiesa ortodossa russa per il dialogo tra le religioni e per il bene comune! “I greet from my heart the delegation of the young priests of the Patriarchate of Moscow who are guests of the Pontifical Council for the Promotion of the Unity of Christians. The young priests are participants in an exchange program that has been sponsored by our Foundation, the Urbi et Orbi Foundation, which seeks to “build bridges” between the Orthodox and Catholic Churches, and in this way to lay a basis for the eventual reunion of the Churches after almost 1,000 years of separation, since the “Great Schism” of 1054 A.D. The Urbi et Orbi Foundation is a project of the non-profit group Urbi et Orbi Communications, based in the US, which has published Inside the Vatican magazine since 1993, for 24 years. The Foundation has raised money to support the cost of such exchanges through private donors. Some of these donors have traveled with us on our annual July pilgrimages to eastern countries, including Russia, Belarus, Ukraine, and Turkey. 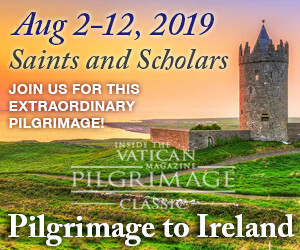 The pilgrimages have always ended in Rome, where the pilgrims meet with Vatican officials to share what they have seen and heard. So the effort to improve Catholic-Orthodox understanding is being made, not by people who are detached and personally disconnected from this slow process of healing the wounds of division, but by people who are actually traveling to these various countries and meeting with and coming to know the people in these eastern Churches. At the same time, there are powerful forces that oppose and would like to prevent any further rapprochement between the Catholic and Orthodox Churches, which makes the work all the more important. 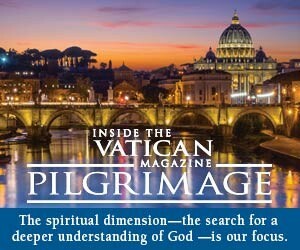 If you would like to join one of these pilgrimages, write to me by return email (the next pilgrimage will be in July). We founded the Foundation in 2012, and since there is so much to do, we are always in great need of supporters and sponsors. If you would like to offer support for our work, please email me by return email. Here below I publish an interesting interview with German Catholic scholar Dr. Michael Hesemann, well-known and respected for his meticulous research in the Vatican archives into the history of the tragic deaths of more than 1 million Armenians in 1915-1916. American journalist Deborah Castellano Lubov conducted the interview, which will be included in the June-July issue of Inside the Vatican. The June-July issue will be a Special Commemorative Issue on Fatima and the the canonizations of Francisco and Jacinta. It will include an in-depth account of the entire story of Fatima and its meaning. This very special issue will be available also to non-subcribers through our website, cimdev8.com. I note, in conclusion, that the views of Dr. Hesemann are his own and do not necessarily represent in every particular the views of the editors of Inside the Vatican. Dr. Hesemann, you are considered one of the world’s leading experts on Fatima. Could you explain how you have merited this recognition? What research have you done? Books related to it? Dr. Michael Hesemann: Well, thanks for the compliment, but that’s certainly an exaggeration. I am a Church historian and author of 43 books, and three of them deal with the events in Fatima. Still, my book “The Fatima Secret” became a bestseller in four languages and reached a print run of more than 160,000 copies, so I certainly belong to the most-read authors on the subject. What would you say are some of the most important and most interesting fruits of your research? What should people know? Hesemann: I consider Fatima God’s most impressive intervention into our history since the biblical times through Our Lady, the Blessed Virgin Mary. It confirms nothing less than the free will of man, his responsibility for his future. All the messages, warnings and prophecies were conditional, as God made them dependent on our cooperation. So important is human dignity, so mighty is God’s love for us! He made us His partner, co-responsible for our future. If we follow Mary’s call for prayer, penance and conversion, we can overcome all evil. What makes you sure that Fatima was indeed a divine intervention? Hesemann: Time and place of this apparition are providential and reveal that it was orchestrated “from above.” This fact alone proves that the theist hypothesis is wrong, the belief that God is far away, existent but passive and not interested in us. In 1917, the Protestants celebrated the 400th anniversary of Luther’s reformation and it was Luther who claimed that man has no free will, that God works good and evil through man and that “faith alone,” no good deeds, no prayers or pilgrimages can bring us salvation. But Luther was proven wrong by Our Lady of Fatima who invites us to pray the rosary daily, to receive the Communion of Reparation on five consecutive Saturdays and to consecrate Russia and the World to Her Immaculate Heart to receive peace. One year later, the German Emperor Wilhelm II. was warned by German Freemasons that the Grand Orient planned to force all sovereign monarchs in Europe to abdicate – which indeed happened in 1918 – to destroy the Catholic Church and to bring Europe under the control of American Big Business, according to a document I found in the Vatican Secret Archives. Indeed, 1917 was the year of the Russian revolution which ended in a massive persecution of the Church. Also 1917 was the year of the United States’ entry into World War I, the year when the two superpowers were born, which formed the history of the 20th century for the next 74 years. It was also the year of the liberation of Jerusalem and the beginning of a new (dis)order in the Middle East. Indeed, according to several eminent historians, it was THE defining year of the 20th century. And there you have three illiterate shepherd children, 7, 8 and 10 years old, in the highlands of Portugal, who had no idea what the “woman dressed in light” was talking about when she mentioned that “Russia” would spread its errors – they rather believed it might be a sinful woman who needed to be converted, since they never heard of that country. The sheer fact that in Her message, Our Lady of Fatima revealed an outline of the history of the 20th century, so far beyond the imagination of those three simple little kids, proves that this message indeed came from heaven and not from their fantasy. She gave them nothing less than the key to change the course of history! This means that God in His mercy gave the fate of the world in our hands. And indeed it came as it was predicted. After World War I, mankind continued to live as if God would not exist, they did not cease to offend Him. And indeed in Russia, Spain and Mexico bolshevism caused the most severe persecution of the Church. Then World War II broke out – as predicted by Our Lady of Fatima after a “light in the sky”, an immense Aurora borealis, visible even in Portugal, “during the Pontificate of Pius XI” obviously referring to Hitler’s annexation of Austria. 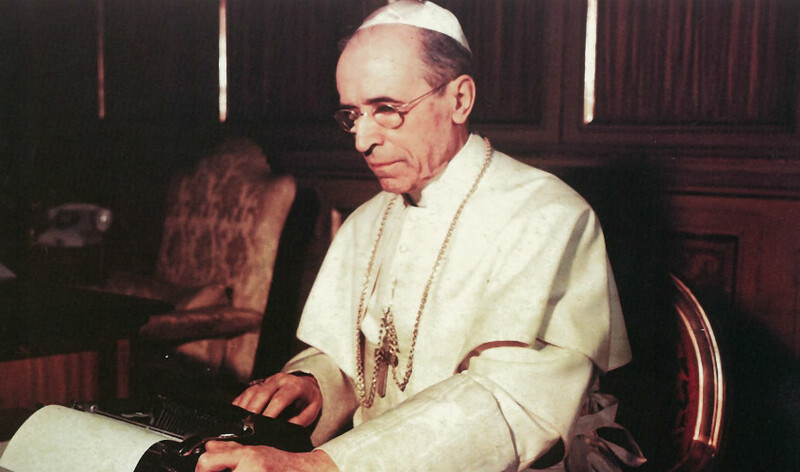 In the middle of this war, on October 31, 1942, Pope Pius XII, in his Radio message to the Portuguese Nation, indeed consecrated Russia to Her Immaculate Heart, although not, as requested, in union with all bishops. And indeed a miracle happened. The battle of Stalingrad began three weeks later. The war ended the most severe persecution of the Church in Russia, but not communism. Only in 1984, after he had survived the assassination attempt on St. Peter’s Square on May 13, 1981, the 74th anniversary of the first apparition, Pope John Paul II consecrated Russia and the World in union with all the bishops, as requested by Our Lady. At that time, one of the three shepherd children of Fatima, Lucia was still alive; she died in 2005. She became a nun, entered the Carmel in 1948 and had several visions and received messages of Our Lady. She believed, based on those messages, that the Third World War, a devastating nuclear war, would have broken out in 1985, if the request of Our Lady wouldn’t have been fulfilled before. But instead in 1985, one year after the solemn consecration, Michail Gorbachev came in power and started his perestroika. In 1988, all liberties of the Church were restored, in 1991 the communist Soviet Union collapsed. What followed was the greatest miracle of our times. The atheist, materialist Soviet Russia converted and became orthodox again! Hesemann: Well, indeed there are some crazy Fatima-conspiracy-theorists. They believe that Sister Lucia was killed and replaced by a double and indeed her teeth look different on photos from the 1930s and the 1960s or 1990s. But this has a simple reason. In 1947 she had a dental inflammation and her dentist had to remove all her teeth and replace them with artificial teeth. All her relatives, who were allowed to visit Sr. Lucia for all her life, testify that she was still the shepherd girl from Fatima. 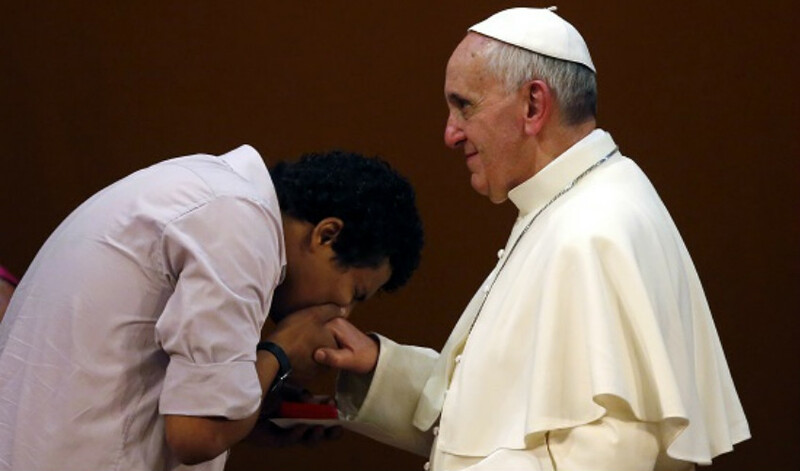 The same conspiracy theorists claim that the consecration was invalid, although Sr. Lucia stated the opposite several times in writing, in person and even on camera, filmed by her interpreter Carlos Evaristo. Indeed it is the most impressive conversion in history. They built or reopened 29,000 churches in only 28 years, three every day! (Editor’s Note: 28 years times 365 days equals 10,220 days; therefore, to open 29,000 churches over those 28 years meas that about three churches a day have been opened every day for 28 years). The number of monasteries grew from 15 to 788, the number of faithful from below 50 Million in 1990 to over 113 million today. And today, 82% of all Russians follow Orthodox Christianity. The Russian state spends more than $100 million every year for the restoration of churches destroyed or misused by the Communists. The 500 theological seminaries are full of young men who follow their vocation. I can testify to this immense conversion, since I visited St. Petersburg and Moscow last year. I heard Orthodox chants right on the Red Square. They rebuilt the Cathedral of Our Lady of Kazan, destroyed by the communists, and transmit all liturgies and prayers with loudspeakers on the square five times a day. Lenin surely is rolling over in his mausoleum — it’s an exorcism! In the year 2000 the Vatican published the Third Part of the Secret of Fatima. Some claim that it was not complete, that there is even a fourth secret. What is your opinion about it? Hesemann: That’s another conspiracy theory. Sr. Lucia herself confirmed that it was published completely, that there is no fourth secret. The big question is if the interpretation of the year 2000 is correct. The “Third Secret” is a vision of a procession of faithful lead by the Pope through a destroyed city up to a steep mountain crowned by a cross. When it reaches its summit, soldiers appear, fire bullets and arrows and kill the Pope and the faithful. 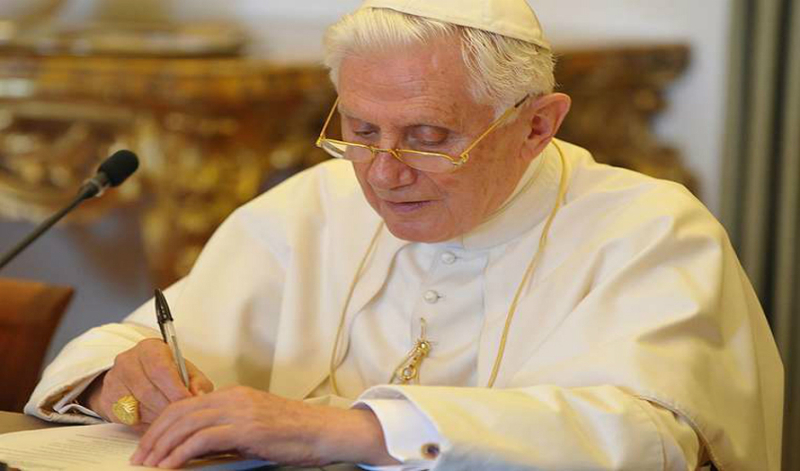 In 2000, Cardinal Ratzinger believed it to be a symbolic vision of the persecutions of the Church during the 20th century, culminating in the assassination attempt on Pope John Paul II. In a few days, Pope Francis will go to Fatima for the Centenary of the Apparitions and canonize the two shepherd children Jacinta and Francisco who died in 1919 and 1920. What is the significance of this visit? The first, Pius XII, received his episcopal consecration on 13 May 1917, the very day of the first apparition, and consecrated Russia the first time in 1942. The second, John Paul II, survived the assassination attempt on 13 May 1981, and made the final consecration of Russia in 1984. Pope Francis was elected on a Fatima day, March 13, 2013, and consecrated his pontificate to Our Lady of Fatima on May 13, 2013. On October 13, 2013, on his request, the statue of Our Lady of Fatima was flown to Rome to repeat this consecration in its presence. And indeed in his pontificate, the persecution of Christians and the danger of a World War III reached a new peak. He knows how great the danger is to all of us and that the call for prayer, penance and conversion coming from Fatima is more urgent than ever. Many web sites will contain news about the trip, some offering live streaming.